Iceland. It's the "hip" place to go at the moment. Super hip. As I write this, I know two people there. the week before I went, I knew four others there. 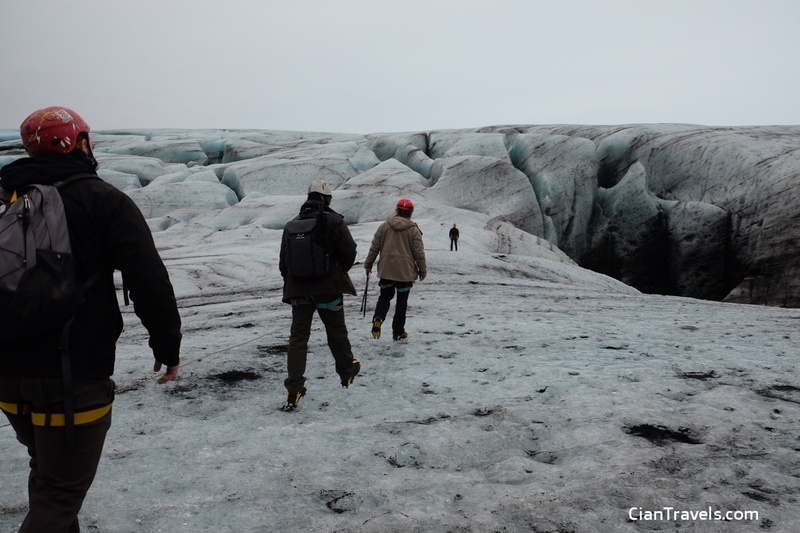 Nearly 12% of Iceland's workforce is in tourism - which after the 'financial troubles' that the country faced after the 2008 crash, makes sense I guess. If all your banks are run into the ground by herring fishermen, make use of the next best resource you have: an amazing landscape! Let's start with a short video I made about my time there, before we get to the nitty gritty of the trip. Now - full disclosure. Two days after we got home Iceland had it's heaviest snowfall in something like a thousand years. Ah well, you win some you lose some. I spent three days in Iceland. WOWair pretend to be cheap. They are not cheap. Icelandic food is expensive and, best case, just about good enough that I didn't send it back. Rent a car. You'll thank me later. Once you've confirmed your car, grab a map and plan ahead. Firstly, before I go any further - a warning about traveling to Iceland. It's gonna be more expensive than you think. We booked flights on WOWair (from Dublin), salivating at the promises of cheap flights. But once you are done being nickle and dimed, the flights are anything but cheap. For starters - if you want to bring anything bigger than a shoe box with you on the flight, you'll be paying for a larger cabin bag. If you, like me, want to bring a checked in suitcase, be prepared to pay between 15% and 30% of your ticket cost. Remember I said that you should plan ahead? That's because if you want to do anything outside of The Golden Circle (which shouldn't be skipped, by the way) you're going to have to do some serious driving. We drove something like 400km per day. We planned out the route using Furkot, which lets you drop pins at places that you'd like to visit, and then generates a route for you. It's not a fantastic experience or UI, but it works. Once you know where you want to go, book small hotels or hostels along the route. Everything is expensive in Iceland, but if you plan well you shouldn't have to pay too much to have a roof above your head. The highlight of the trip for me was definitely what we did on the first day - Ice Caving. We met up with Jonas, our guide from GoEcco, and we started off on our adventure. First we drove off-road for about twenty minutes over some incredibly bumpy terrain. 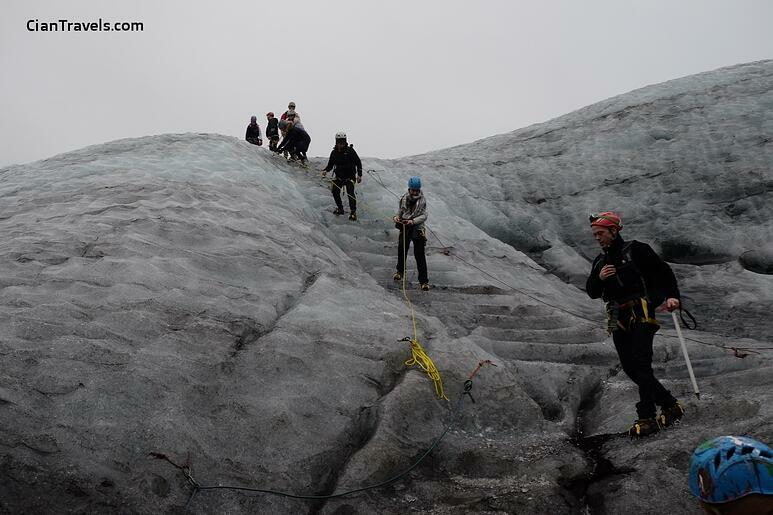 Then we parked, stumbled out of the (giant) van and got on our ice-spikes - we had a hike across a glacier ahead of us! After our hike, we finally got to a staircase which had been cut into the ice. Clipping on to safety ropes, we slowly made our way down. From this photo it looks easy enough, but I can promise you that it was just a little bit stressful. After making our way across a terribly rickety bridge we got to the ice-caves themselves. Unfortunately, due the rate at which they were melting, we were unable to go all that deep into them. 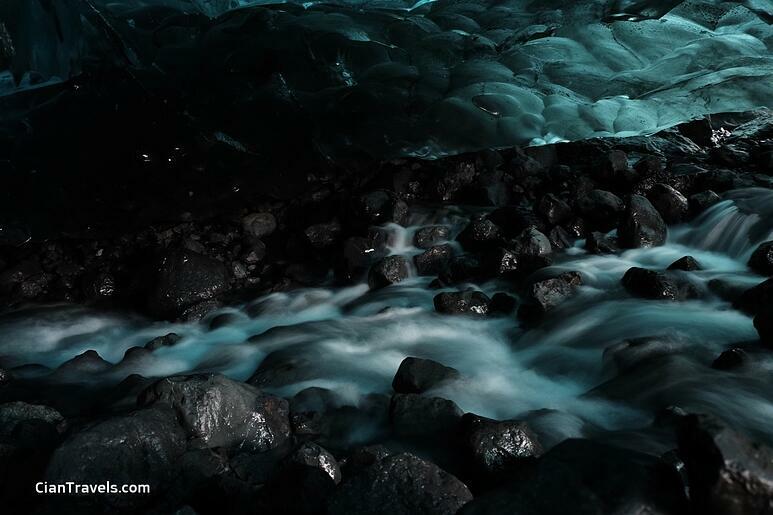 I took loads of more photos inside the ice caves - check them out on my Flickr album. 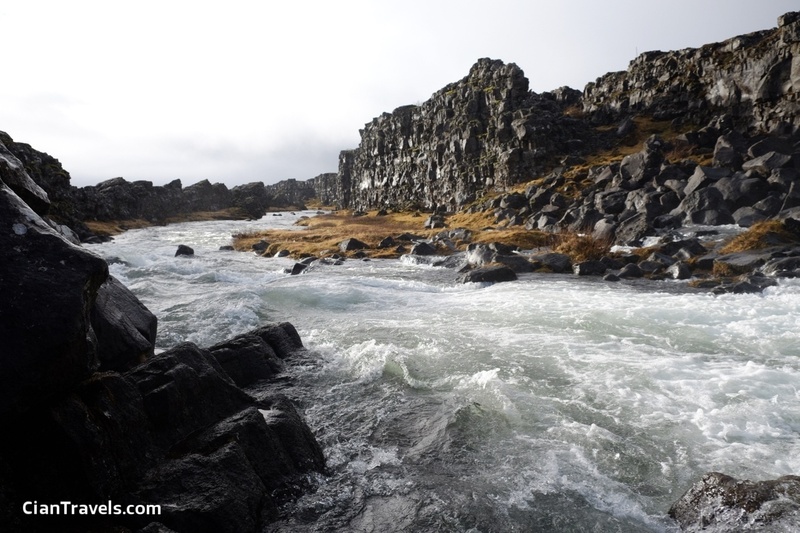 There's no way around it - if you go to Iceland, you are going to see a hell of a lot of waterfalls. Giant majestic waterfalls hundreds of feet high will become boring to you, you'll see so many. It's sad, really. This is the waterfall from the start of the video I shared above. The weird angle that this was taken at makes either me look giant or the waterfall look tiny - I'm regular size, and the waterfall is HUGE. I've no idea what the name of the fall is, as despite how huge and impressive it is, it was by far one of the smaller falls we saw during the trip. Even more impressive was Svartifoss waterfall. 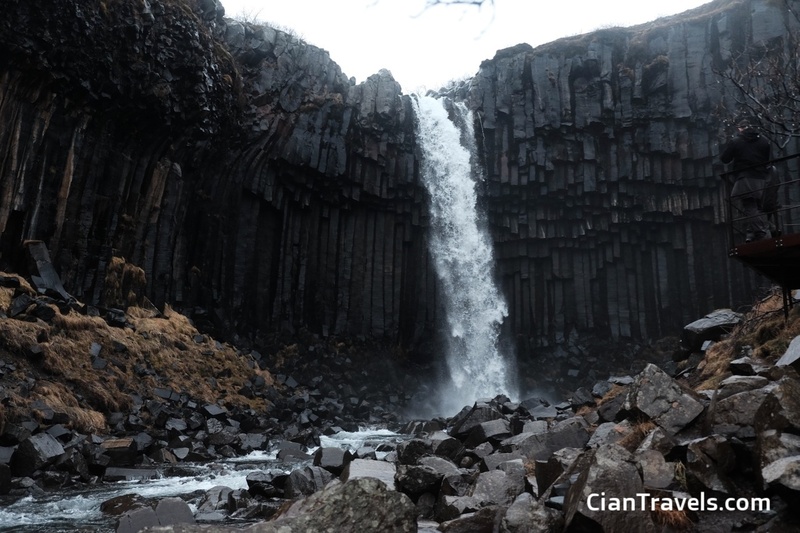 It gets its name from the basalt columns which surround it (figure that one out). We had to hike for about 40 minutes in the drizzling rain to get there, and it took some serious cajoling (and a little bit of generated competitiveness on my part) for us to make our way to the waterfall but we were all super glad that we made it in the end. These are just two of the many many waterfalls that we visited on the trip. I have more photos on my Flickr album and on Instagram. If you've booked your flights to Iceland, you've probably also already booked your visit to The Blue Lagoon, one of the most famous sights in the country. I'll let you in on a little secret: The Blue Lagoon is a cheat. It's not natural. It's waste-water from a nearby geothermal power plant. Sure - there's nothing wrong with that, but it definitely makes the whole thing feel a lot less romantic. Also: it's busy, expensive and you might be rushed to enter at a specific time. Skip the Blue Lagoon. The Secret Lagoon is where it's at. It's cheaper, way less busy and is fed water from actual hot springs. Arrive after 6pm and stay until closing, when you'll be one of only a few people left enjoying the steaming hot water with a glass of wine or Icelandic beer. The thing about Geysers is that they're just sort of... around. Even The Secret Lagoon that I mentioned above has a pet one which erupts every 5 minutes or so! 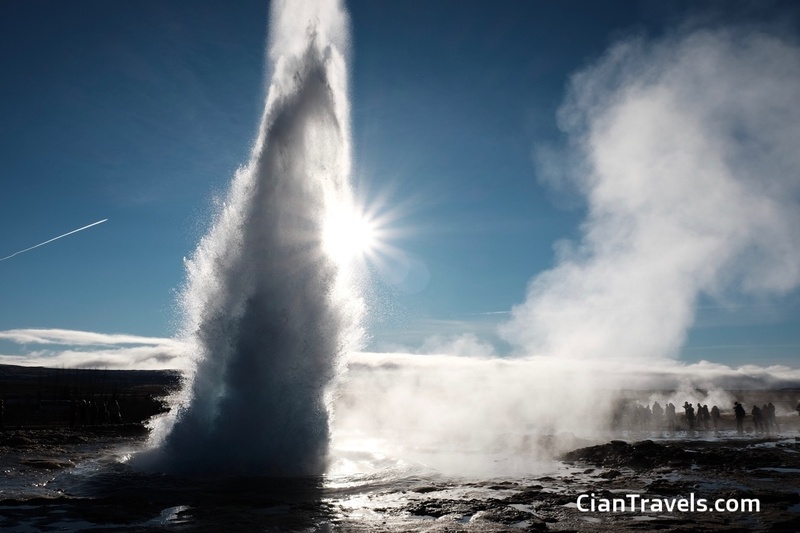 But the big bad geyser, the one from my drone video, the famous one that you see in all the photos is on the Golden Circle route, and covered in tourists. But once it erupts, and everybody gasps in awe, you feel a part of something amazing. It's called Geysir and it's a mandatory stopping point. Seriously. Just go there, battle your way past the tour busses and wandering tourists, and just chill. It's like nothing you've seen before. Surf and Turf is an American style diner. Two of our party were vegetarian and they managed to pull together a pretty decent salad for them. But it's really a meat-lovers place. Fernandos Pizza is a decent Icelandic pizza joint. It wouldn't last a year in Dublin, or a month in Italy, but it's better than the pizza we had in other places. While I have issues with the pizza they served us, Kaffi Krús had a nearly intimidating selection of deserts. It's definitely worth checking out for that. You'll notice that none of my choices are in Reykjavik. While I'm sure there are some good eateries there, everything was so expensive that we only stayed 3 hours in the capital before heading to eat near our hotel. 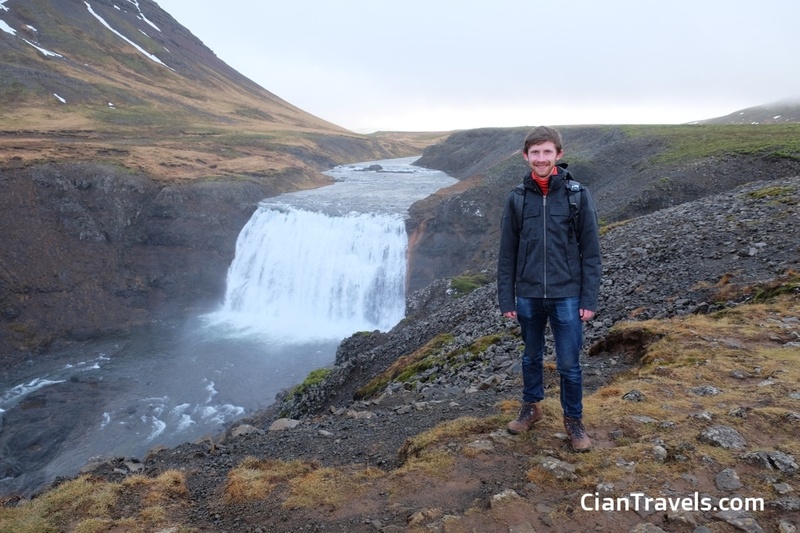 I really enjoyed my time in Iceland, and it's one of those places that I really think you should try to get to. Prepare to drop a lot of money on the trip, get ready to eat lots of sandwiches and check the weather to find out what your chances of seeing the Northern Lights are before you book flights. I'll mention my Flickr album one more time - It has the 94 best photos I took on the trip, out of a total of over 550, including many more inside the ice caves and on hikes including this one of the rickety bridge we had to cross to get to the entrance of the ice cave. If you liked this post (and I hope you did) throw your email address into the box at the bottom of the page and I'll send you updates as I write more. If you're heading to Iceland and have any particular questions, throw them in the comments below and I'll try to answer them to the best of my ability.